The time has come for making some packed lunches for my boys. I’m having flashbacks of crisp brown bags and PB&J sandwiches and missing being a kid myself. For awhile now, my boys, ages 4 years and 18 months, have been eating lunch at nursery one day a week. But I’ve been ordering them the school food, which they seem happy with, especially since the menu includes some treats that we don’t usually have at home, like yesterday’s toffee-flavored yogurt. While not totally thrilled about the contents, I like that I don’t have to pack anything, that it includes hot foods with cooked vegetables, and that they are eating the same things as their friends in a social setting. It’s only once a week, after all. But now we are adding one more day at school, and my oldest asked for a packed lunch for a change. So today was our first attempt at it. –My kids are used to a hot lunch, which is the norm in Italy where they grew up. But I don’t have thermoses yet to try to send something warm. And since they aren’t too familiar with sandwiches, I was hesitant to go that route. I’m thinking that once I get some better containers, I can pack foods that we would be more likely to have at lunch at home. –The school has a no nuts policy due to allergies, so some of their favorite things are a no-go, including almonds and pecans, and my usual homemade, no added sugar muffins and cookies which I usually make with almond flour. –My littlest one can be picky about keeping foods separate. My oldest is excited about these cheater pizzas we ma de recently. So I figured we could roll one of these up and pack it like a sandwich. He likes his with fresh mozzarella, shaved Parmesan, artichokes, and olives. (Can you tell I am raising a little Italian?) Today he wanted his olives on the side, so I put those in a little container with some cucumber slices. These pizzas are fairly fast to make – a minute or two to assemble and around 5 minutes under the broiler, time in which you can unload the dishwasher or try to get the kids (or yourself) dressed. It was a little bit of a hassle amidst the morning routine, but not too bad especially considering I made myself a pizza at the same time too. For my youngest, I just packed similar separate components: olives, some red pepper slices, small chunks of Parmesan, and his favorite whole grain crackers. If I were to make him a pizza, he would probably just pick it apart and most of it would end up on the floor. He saw me cutting the red peppers this morning, asked for some, and ate about a half of a large pepper before we left the house, meanwhile refusing the rest of his breakfast. While I love that he is on this kick (those peppers must feel good on his new teeth that are popping through), I am thinking he might have some tummy issues later today. We’ll see how lunch goes. As for lunchbox treats, my oldest loves dried unsweetened mango slices, so he gets those today and his brother some raisins, which are easier to chew. And they each brought some water to drink in their favorite bottles. My next step is to find some lunch boxes that are preferably non-plastic and don’t break the bank. I saw some nice looking stainless steel bento boxes on Amazon but they cost $40. I’ll keep looking. Any suggestions? And I also need some other ideas for options that don’t require cooking the morning of. I’m looking forward to improving for next week. What are your kids’ favorite, low-sugar lunch items? All comments and photos welcome here below. 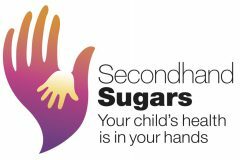 Note: see here for School Lunches, Take 2 and Low Sugar Lunchbox Ideas. Hey you. Love reading your stuff! We love Lunch Bots stainless steel products. Feel like they never wear out. Lots of dinner leftovers in my kids’ lunches! I love the stuff suggested in 100 days of real food” too. Hi Lindsay, So sorry I missed this earlier. Glad to know that you like the Lunch Bots and also that dinner leftovers are working for you too. Hope you are well–really happy to hear from you here. I love the quick pizza idea! I’ve had success packing greek yogurt w/ a bit of jam, cucumber slices, etc. One trick I have found is including a toothpick with square chunks of veggies or cheese, similar to a sample you might find at a grocery store. My boys love it. Looking forward to following your blog! Thanks Emily! Love the toothpick idea — I think my kids would go for that too.